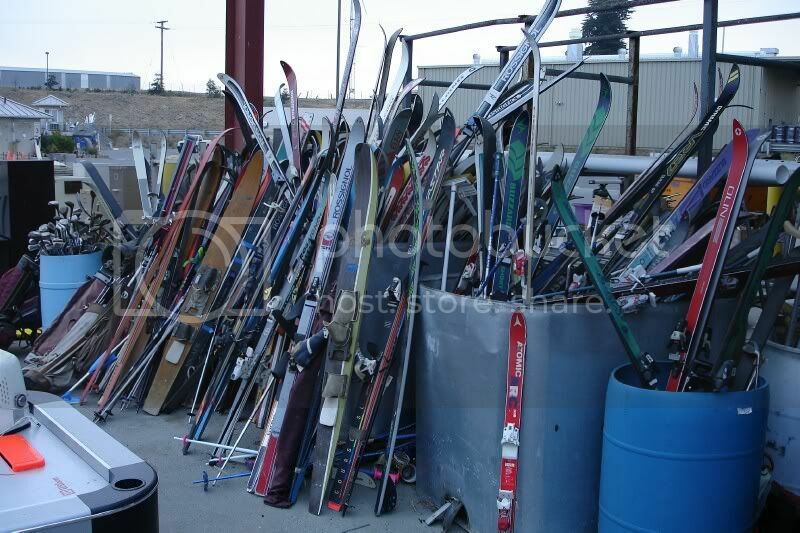 What is Ski Storage? In simple terms ski storage is what you do with you skis when you are not actively using them. So if you aren't out on the mountain riding through waist deep powder or arcing your skis down a perfect groomer......you are most likely not using your skis so they are therefore in "storage". Unfortunately for most of us our skis spend a lot more time in storage than on our feet. Does this remind you of your garage? The term Ski Storage would be used very loosely when you talk to most people. Ask the average skier where they store their skis and they will first probably look at you funny and once you ask more specifically, where are your skis when you are not using them, the typical answer would be "in my garage" "in the basement" "in the closet". If you probe further, "in" these places typically means shoved in a corner where ever there is room. Specifically this is typically a corner because - well have you ever tried to lean your skis on a flat wall? Try leaning a pair of skis on a wall and over 50% of the time they are going to slip and come crashing down. I know when you got your new ski setup you were totally psyched to try them out and rip it up out on the slopes. It probably never crossed your mind - so now I bought this nice shinny new set of skis, what am I going to do with them when I get home? What you should do is put them in a Ski Storage Rack. A well designed ski rack will properly store your skis for you. If you know anything about StoreYourBoard, you know we have all kind of board racks and we just happen to have the industry leading selection of ski racks for your home, garage, office, etc. Head on over to the website and check out some of the ski racks available. We have ski racks that hold up to 8 pairs for the family of skiers, we have economical ski racks for under $20, we have solid Oak ski racks, we have innovative adjustable metal ski racks, and many more. I am sure (or at least hope) you can see how useful a proper ski storage rack would be, especially if you have more than one set of skis. Conveniently organizing all your ski gear (don't forget all those poles) in one place is a big space saver and goes a long way in keeping your house organized. Having a designated place to securely hold your gear after you are done skiing is why many customer send in their photos and comments stating "I don't know what I did before I got this ski rack(s)" Do yourself a favor and get a ski rack this season to properly store and organize your skis this winter, into the off-season, and for many winters to come. 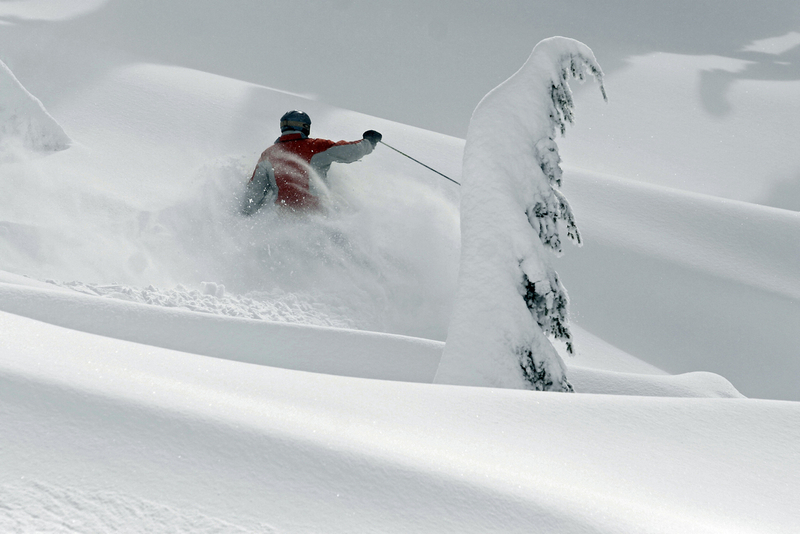 Here's to a GREAT Ski Season in 2011-2012!